While fall is the busy time for most people in the wine industry, for barrel salesmen, the spring is their “harvest time”. Wineries place their barrel orders for the upcoming harvest between the months of February and April. 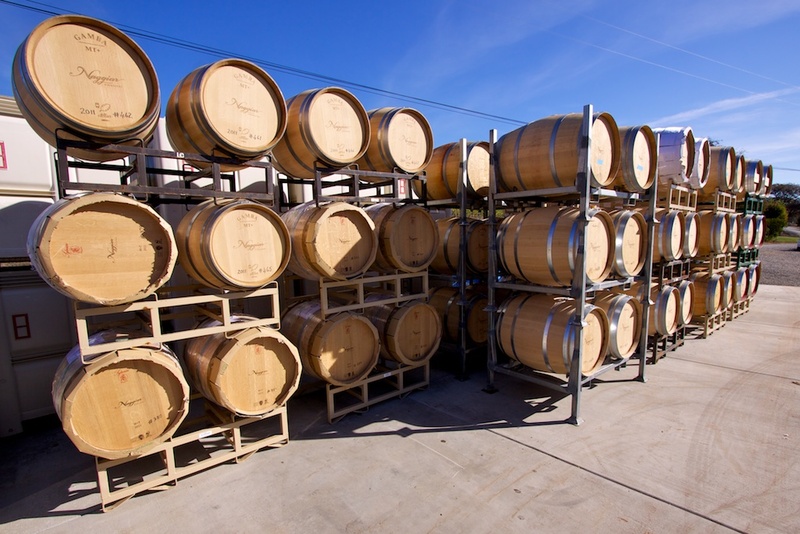 Most people only see barrels when they have been retired and relegated to use as planters for pretty flowers or use as upscale beverage holders, but don’t get to see them for their intended purpose- the maturation and fermenting of wine. A barrel begins it’s life as an oak tree. 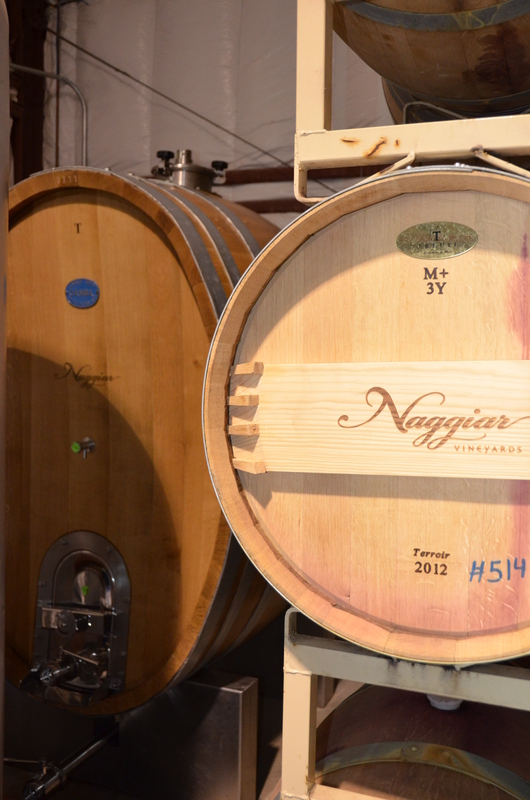 For those who want to throw around a few Latin words, the scientific names for the two types of oak trees used to make the barrels we use at Naggiar are Quercus alba (American oak) and Quercus robur (French oak). Similar to vineyards, these oaks have their version of an appellation, a specific region where they are grown. American oak predominantly comes from Pennsylvania, Minnesota and Missouri. 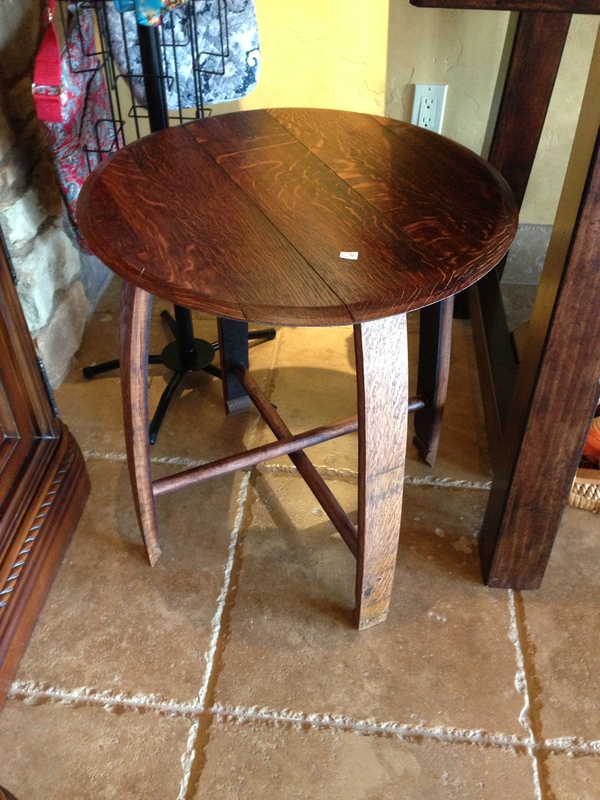 French oak predominantly comes from Allier, Limousin, Nevers, Troncias, and Vosges (now you know some French as well). It takes 100 years before the oak is mature enough to be used in barrel making. Once it is cut down and the wood is cut into planks, it is left outside in the elements to season for 2-3 years. So essentially, it takes around 103 years to make a barrel. From there, the planks come into the cooperage (barrel manufacturer) where they are finished, graded according to quality and width and formed into barrels using the boat-building technology that has been around for thousands of years. Before the heads of the barrels are put on, the barrels are toasted. Just as in coffee beans , there are light, medium and heavy toasts (or roast for coffee). The longer the barrel is toasted and the more intense the heat, the heavier the toast on the barrel will be. Each cooperage house has their own way of toasting their barrels, so that their barrels have their own unique characteristics. In general, lighter toasted barrels impart more oak flavors while the heavier toasted ones import more smokey, spicy, vanilla flavors. This is why choosing barrels is such a crucial step in making wine. We order about 80% of our season’s projected needs the first week of April. 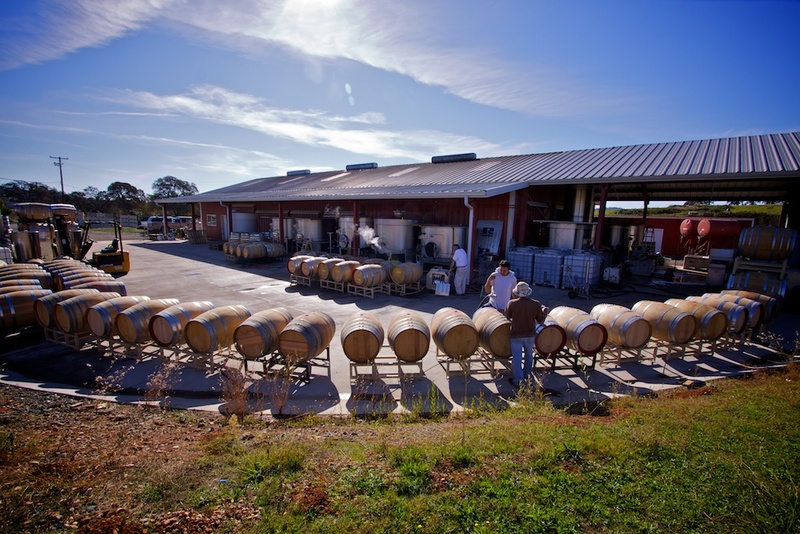 To make our high-quality wine, we buy high-quality barrels that run about $1000 a barrel, so getting an accurate estimate on the amount of barrels needed is extremely important. We use predominantly French oak, as it works better with the varietals that we produce. In house, we have anywhere from 300-400 barrels at any one time and of those, there is a mix of new and 2-3 year old barrels. 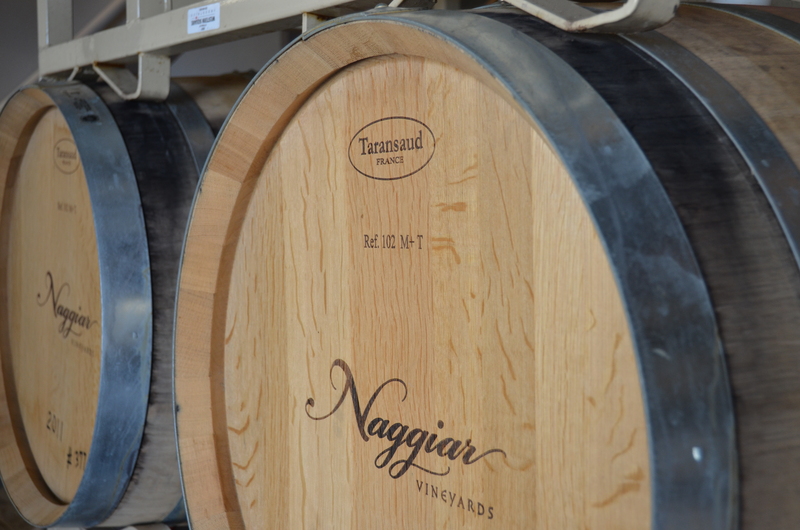 At Naggiar, the typical life-span of a barrel before it is retired is 4-5 years. Once retired, you might see it sitting on the edge of the crush pad waiting for you to give it a good home. These retired barrels are for sale and can be purchased in the tasting room. So stop in and purchase a piece of Naggiar to bring home- they look lovely filled with a bunch of brightly colored pansies. 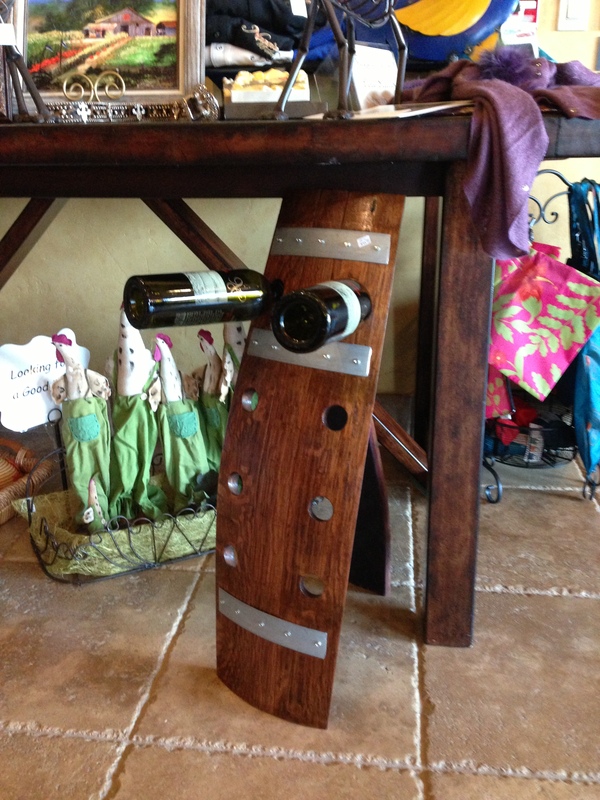 Repurposed barrels crafted into beautiful decorative pieces by Mike’s nephew, Tony. For sale in the tasting room!